It’s fantastic you are planning a trail run with us! We aim to hone your running skills, build strength and improve technique. If you haven’t already, check out our range of training sessions. We offer coached trail run sessions for all abilities so if you are joining us for your first trail run, or you are experienced and want to join our group for motivation or technique fine tuning, attending your first trail run with us is simple. Don’t worry, before you commit we’d love to show you what we are all about with a complementary, no commitment training session. To get started feel free to browse our training calendar, find a session, register your emergency contacts for safety and turn up to your trial session! However, if you would like more information before you do so please don’t hesitate contact us and we will get back in touch very soon. Wondering what you are getting yourself in for? When you get addicted to trail training, we have flexible training options to keep you running at your favourite times. If you are keen to get started or holding off but keen to stay informed we suggest signing up to our mailing list to keep up to date with Wild Runners. We love our privacy so your details will be kept confidential, not sold on and we promise not to overload your mail box. Hi. I am looking to join a running club as a beginner. please can you give me some information on your beginner programme. Sorry I have just noticed your message on our page. We’ve had a bit of a comment spam influx, sorry for the delay. We definitely have sessions suitable for beginner runners but we don’t have a session specifically named as such any more. I’d recommend either of our Toohey Forest sessions as a great start. 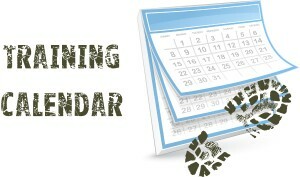 These sessions can be found here http://www.wildrunners.com.au/training-calendar/ They are on Monday and Friday mornings at 5:30am. The sessions do start off in the dark but we won’t jump straight onto the rough stuff. We also have headlights we can lend you so there will be no lack of light.